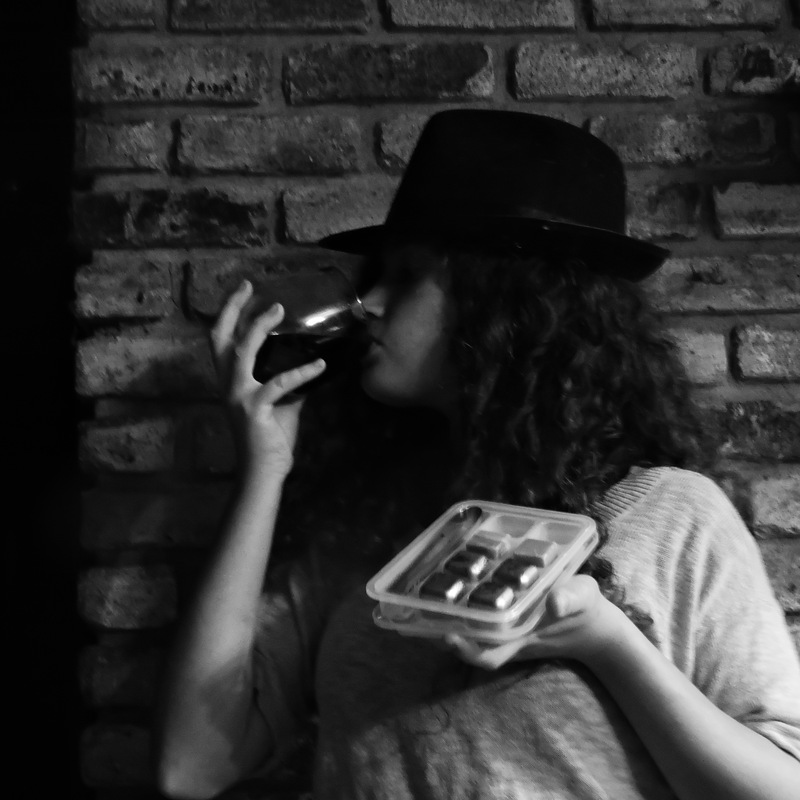 Whiskey stone–what is that? I’m not a whiskey drinker, so I wasn’t sure what a whiskey stone was until I looked it up. 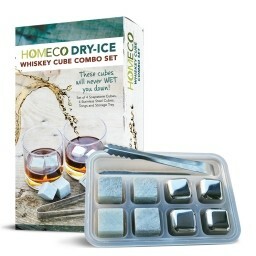 These little cubes in the HomEco Dry-Ice Whiskey Stone Combo Set are quite interesting! My kit arrived very neatly packaged. There are 4 soapstone cubes, 4 stainless cubes, and a very nice little tongs, all in a cute and functional little cube tray with a cover. The entire tray fits in the freezer, keeping it ready for when you need to chill your favorite beverage. The benefit of these little stones is that they don’t melt into your beverage. I suppose they are ideal for alcoholic drinks that people want to enjoy without ice melting and watering down their drink, but they are ideal for non-alcoholic drinks for the same reason. Ginger ale is a favorite of mine and these little cubes are the ideal way to keep it chilled while I sip. They look quite nice, but do they work? The directions say to freeze for at least 4 hours. I put them in the freezer overnight and then tried them. They were definitely chilled. The tongs are easy to use to pick up the stones so I plucked out 2 stainless cubes and dropped them into my ginger ale. I swirled them around a bit, then sipped. Wow–they really do chill the drink! I tried 2 soapstones in another glass of ginger ale with the same results. They kept my drink chilled while I sipped; I’m a slow drinker, so they definitely had a test on longevity. After use, just rinse them and put them back in their tray and back into the freezer to wait for their next use. These little stones would make a great gift for anyone, a whiskey affectionado, or someone like me that likes cold non-alcoholic beverages. They could certainly be used in wines and other drinks, too.